If you've ever wondered which courses and holes golf 's legendary players love most, sit back and "play through" Golf's Ultimate Eighteen! In this impressive coffee-table book, eighteen luminaries of the links - including Arnold Palmer, Jack Nicklaus, Ernie Els, and Amy Alcott - have each chosen their favorite hole to play from courses around the world. The result is "the ultimate fantasy course," linking Augusta National, Pebble Beach, Muirfield, Pinehurst, and more, along with each golfer's professional insights and personal memories about his or her chosen spot. 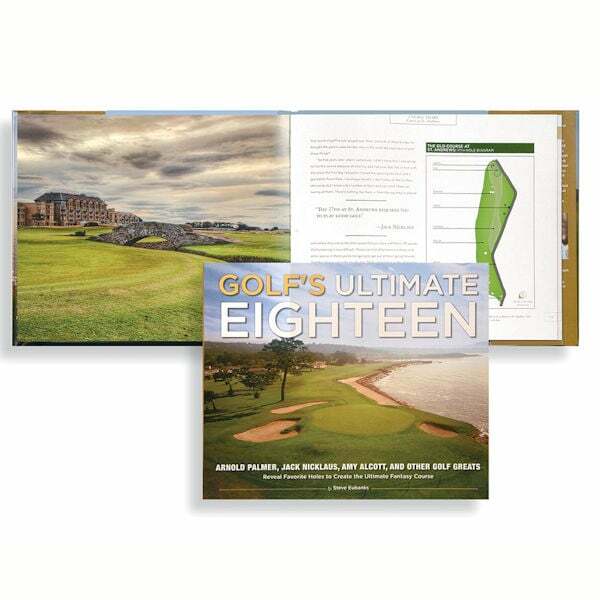 Complete with amazing photographs and course diagrams, this is the ultimate gift for the devoted golfer you know!